There is a great deal of evidence suggesting that cannabis could be beneficial for the prevention and treatment of neurodegenerative diseases like Alzheimer’s disease and Parkinson’s. In fact, a Brazilian study published last year suggests that cannabidiol (CBD) could help ward off neuronal cell death in the face of neurodegradation. In order to provide more insight on the topic of medical marijuana and neurodegenerative disease, a team of researchers from Tel-Aviv University in Israel published a study in the Journal of Neuroscience Research last month. Their results suggest that ultra-low doses of cannabinoids, and tetrahydrocannabinol (THC) in particular, can help protect against cognitive deficits that arise as a result of inflammation in the brain. 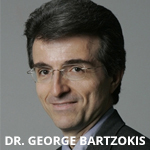 Much of what we do know about neurodegenerative diseases (which isn’t much) can be attributed to Dr. George Bartzokis. Knowing that iron builds up in certain parts of our body over time, he investigated the effect iron has on brain development. In his research, he found a link between excess levels of iron stored in the brain and neurodegradation. One of the areas where the brain stores iron is the basal ganglia. Interestingly enough, the basal ganglia is the area that is most often associated with neurodegenerative diseases like Alzheimer’s and Parkinson’s. In turn, the excess iron is deemed responsible for the cognitive deficits associated with these conditions. It also helps to understand the role mitochondria play in normal brain functioning. Because mitochondria generate most of a cell’s chemical energy, they are often referred to as the “cellular power plant.” It is their job to control cell processes, like apoptosis (programmed cell death). One deficit associated with neurodegenerative diseases like Alzheimer’s and Parkinson’s is less chemical energy at the synapse (where cells pass signals to each other). This suggests that mitochondria may play a key role in maintaining an efficient circuit of neurons in the brain. The excess iron seems to disrupt the dynamics of the mitochondria, causing them to initiate more cell death than normal, which in turn causes cognitive deficits. Past research shows that a single ultra-low dose of THC (0.002 mg/kg) can protect the brain from various insults that would otherwise cause cognitive deficits. Considering the fact that many of these insults can trigger inflammation in the brain, the Israeli research team set out to determine whether this low dose of THC can also protect the brain against inflammation-induced cognitive deficits. Led by Miriam Fishbein-Kaminietsky, PhD, the researchers decided to conduct a study on mice that had been treated with 10 mg/kg of lipopolysccharide (LPS), which is often used to promote inflammation in lab settings. The mice received a single injection of 0.002 mg/kg of THC either 48 hours before LPS treatment or 1-7 days after LPS treatment. This was done to test whether the timing of treatment with THC had an effect on efficacy. Three weeks later, each group of mice was subjected to the object recognition test to gauge their cognitive abilities. According to the study’s results, LPS (and the resulting inflammation) caused long-lasting cognitive deficits. However, the application of THC protected the mice against the LPS-induced damage. This proved to be true regardless of whether THC was introduced before or after treatment with LPS, which suggests it may be useful as both a preventative measure and a reactive treatment option. Looking closer, we find that the protective action of THC was blocked by drugs categorized as antagonists of the CB1 receptor, but not CB2 receptor antagonists. This suggests that THC’s ability to protect against inflammation-induced cognitive deficits is dependent on activation of the CB1 receptor specifically. In other words, it’s likely that miniscule doses of THC can help mitigate cognitive deficits that result from inflammation in the brain and neurodegenerative diseases like Alzheimer’s and Parkinson’s. The fact that these doses are far too small to cause the “high” traditionally associated with THC can only be reassuring for older patients who may be on the fence about trying medical marijuana.